Transgender writer living in Wellington, New Zealand. Also a musician and environmentalist. 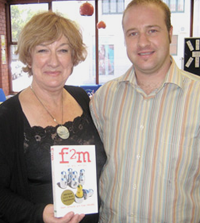 My first book, f2m: the boy within, co-written with Hazel Edwards was published by Ford Street Publishing in 2010. Many societies have educated their male children on the simple device of teaching them not to be women.